This week’s In a Yellow House Photo Challenge is Summer…which is completely appropriate considering that summer is just around the corner (June 21 to be exact and my birthday is June 22…just in case you were wondering). When I think of summer, I think of summer vacations. Last year, we went to Niagara Falls for a mini vacation before our wedding and honeymoon. Considering that North Carolina has a two-week Spring before diving straight into hot and humid summer weather…it was so nice to escape to the north where we experienced beautiful 70-something degree temperatures and gentle breezes. 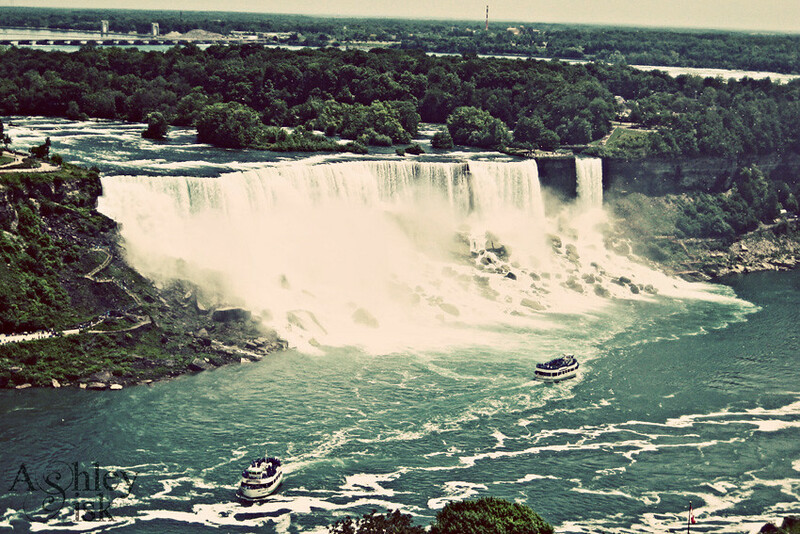 I was able to capture the photo below from our hotel room that directly overlooked the falls.